It’s been a busy month, but it’s been a busy month at home unlike the first few months of 2016. We’ve been home for a month. So we’ve had time to kind of catch up on all that was neglected. The garden is still – in spite of the heat and lack of rain – growing like crazy. We’ll have lots of zucchini bread this Winter because we’ve had several get away from us and turn into those foot longs good for shredding up and putting in the freezer. Our bunch will enjoy that nice warm, right-out-of-the-oven homemade bread this Winter. We’ve got tomatoes by the bushel – just waiting on them to turn red or orange or yellow. And lots of eggplant. Thank you to those folks who sent me their recipes. I’ll let you know how it turns out. We have our friend expanding the chicken coop. So our plan is that chickens and yes, ducks, will be a part of our lives for quite some time. We’re almost doubling the size of the coop and there will be two separate sections with a door between where I can easily isolate babies or sick birds from the rest of the flock. There will also be a full door going to the outside that will make cleaning out the old straw much easier. We’re holding steady at 17 birds for now. I think six or seven of those are from the original group which makes them almost five years old. They’re doing fine, not laying as much as before, but that’s OK. We didn’t go into this to get rich. We’ll definitely get ducks again in the Spring and try to do a better job of protecting them from the predators. The Medina County Fair was last week and they had the little Call Ducks that we had before. They are so cute. So I’ll do some more reading and we’ll work hard at making sure the pen is secure. Now there’s a lot going on in Bee Culture land. I wanted to be sure and mention the Bee Culture 2017 Calendar Photo Contest. The deadline of October 1 is fast approaching. The theme for the 2017 Bee Culture Calendar is Workin’ From Home – bees doing what bees do on and in the hive. See the back page of your 2016 calendar for more information and for some tips on where and how to send your photos. Please be sure that however you send your photos that they are clearly labeled with your name and mailing address – either in the email or on the CD. Send all photos to kim@beeculture.com or mail CDs to Kim Flottum, Bee Culture Magazine, 623 West Liberty Street, Medina, OH 44256. Photos not properly labeled will be automatically disqualified. Good luck all! 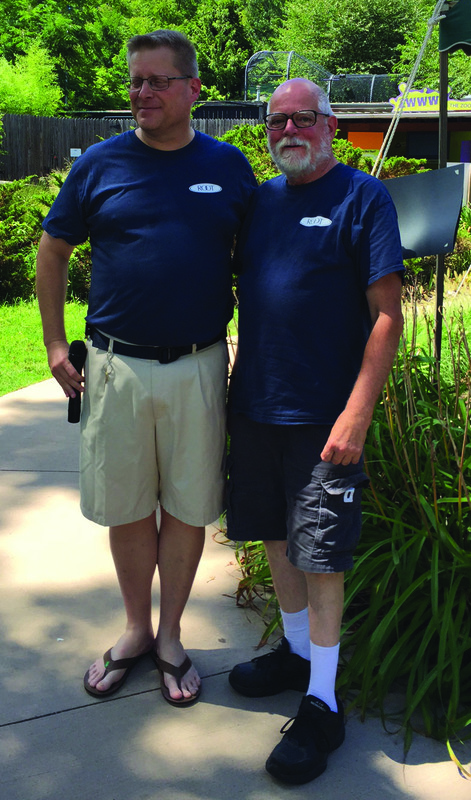 It’s been a hectic Spring and Summer at Bee Culture. We are six strong right now which is the most people we’ve ever had in our Publications department. Our newest team member is Katie, who is the daughter of our Advertising Coordinator, Jean. Katie helped us out this Summer while Amanda has been gone on her maternity leave. Katie has focused mostly on Catch The Buzz and keeping on top of our Social Media activities. In addition to that she helps out with subscriptions when it gets busy. She’s been a welcome addition to our team and it looks like she’ll still be helping us out some while she goes back to school – studying engineering. Amanda will be returning some time this month and we are all glad. We’ve missed her smiling face. She’ll be back in time to finish coordinating our October event – A Case For Honey. Joy has been with us since October and is doing a great job on the layout and design of our new quarterly magazine BEEKeeping. We’ve just about got all the bugs worked out and are looking to make it available by subscription in 2017. 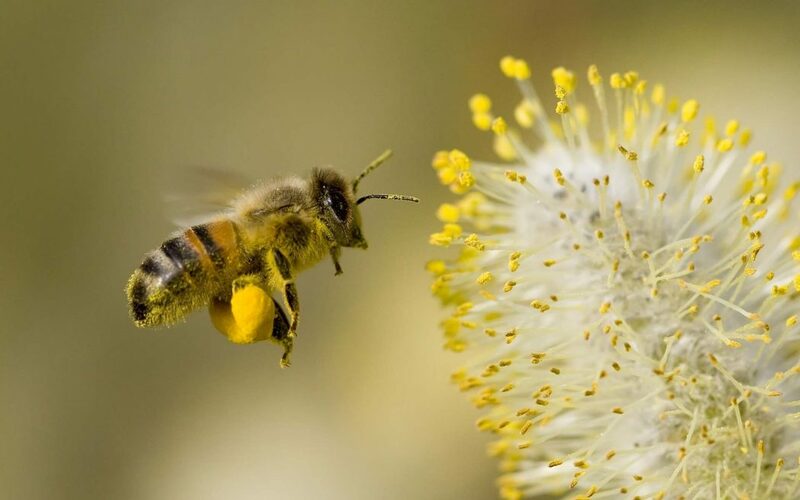 Joy has become the voice of Bee Culture in that she handles most of our phone calls. Then there is Jean who has been with us for almost two years now. She is doing a great job with managing our advertising for both magazines and has just recently launched a new web and Catch The Buzz advertising program. It looks like Jean will be coming with us to the big joint meeting in Galveston in January. If you’re there make sure you meet her and say hello. 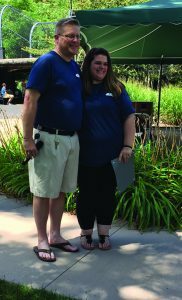 This past weekend we – Root Candles and Bee Culture – held our annual service awards event, held this year at the Akron Zoo. Kim was presented with his 30 years of service award. That’s 30 years as editor of Bee Culture. I’ve been here with him for most of those 30 years and it has been wonderful. We’re both excited to see what the next few years bring. We hope you’ll all be right there with us. 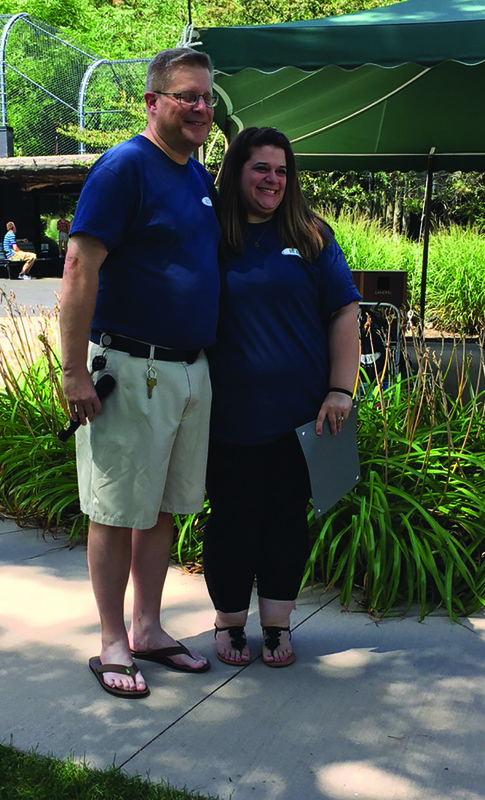 Amanda also received her 10 year service award at the picnic. She started out in retail working at our Root Candle Store. Then we were able to sneak her away from them and she has been with Bee Culture for about five years now. Both awards were presented by Brad Root. Our Pollinator Day is this Saturday, August 13 and we are really excited about it. The five pollinator gardens here at work are beautiful. We’ve invited all of the people who manage the gardens and have donated seeds. They will, along with all of us at Bee Culture spend the day talking to the public about bees and bee plants. 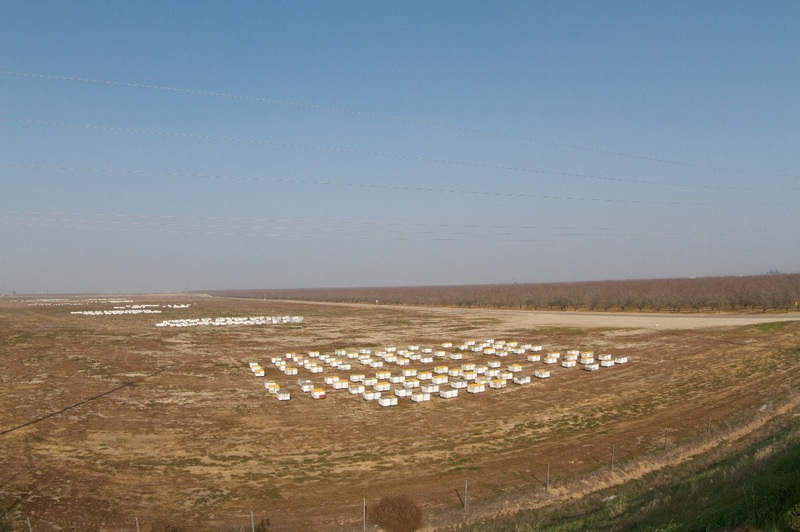 It’s the best part of our job – educating people about bees and beekeeping. Coming up after Pollinator Day is our October event. If you want to find out how to go from small time to big time in the honey business, you want to come to Medina in October. You can still sign up for our “Case For Local Honey” event. 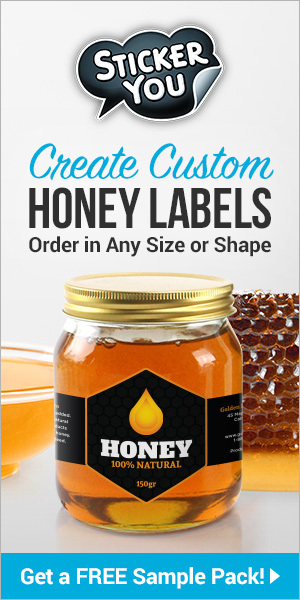 Visit www.BeeCulture.com for details. I hope you’ve had a good Summer and are starting to get those bees ready for Winter. You know it’s coming!